Evaluating RASP for your application security? This guide is for you. 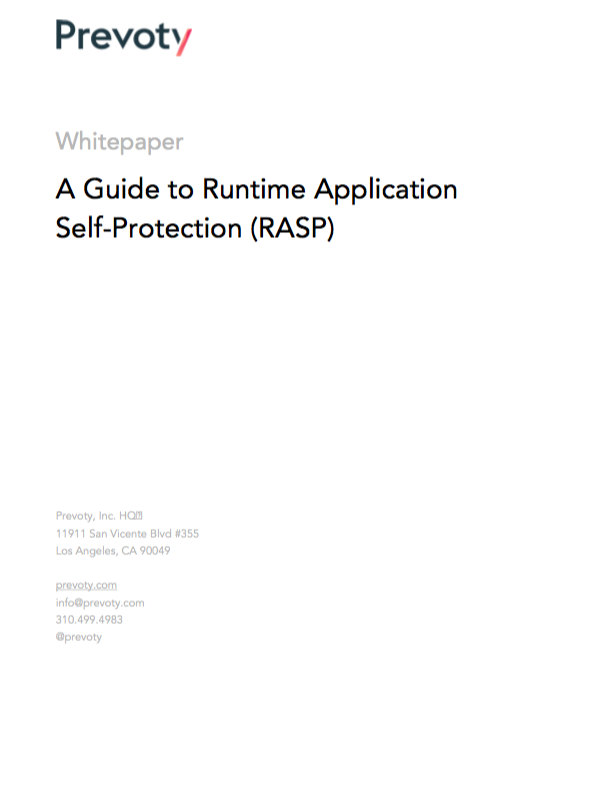 Gartner first defined runtime application self-protection (RASP) as a security technology built into an application runtime environment to control execution and prevent real-time attacks.1 RASP differs from traditional WAFs or other testing tools because it is tightly coupled with the code itself, which is susceptible to malicious exploit. RASP vs. WAFs, SIEMs, DAST, and cloud providers - how do they interact? Fill out the form to request your free copy of this comprehensive guide today.